Fans of Marvel’s superheroes, sick and tired of never having any Marvel superhero movies to watch, are eagerly anticipating the next Avengers. Desperate for any clues as to what’s next after this year’s Infinity War ended on a big old cliffhanger, they’ve now been given something huge to look into: a photo of an empty room with some construction equipment in it tweeted by directors Joe and Anthony Russo. Urged to “look hard,” the internet has set itself to the task of decrypting this tantalizing image. Normal eyes may see only ladders and chairs and partially constructed sets, but the x-ray vision of Marvel diehards are able to discern much more. For instance, that ladder near the center of the shot? Why, friends, that’s a capital “A”—and we all know what “A” stands for. So, sure, that makes enough sense. But, considering we can safely predict at least 27 more Avengers movies in the years to come, simply finding a reference to a fourth one (that we already know is in production) isn’t much of anything. Luckily, this is the internet, so people have been eager to point out all of the other stuff they think they’ve found—like some appropriately blockbuster-y sounding subtitles. Others found even more enticing clues. All of these guesses are very good, but we can’t help but wonder if even more information is hiding in plain sight. 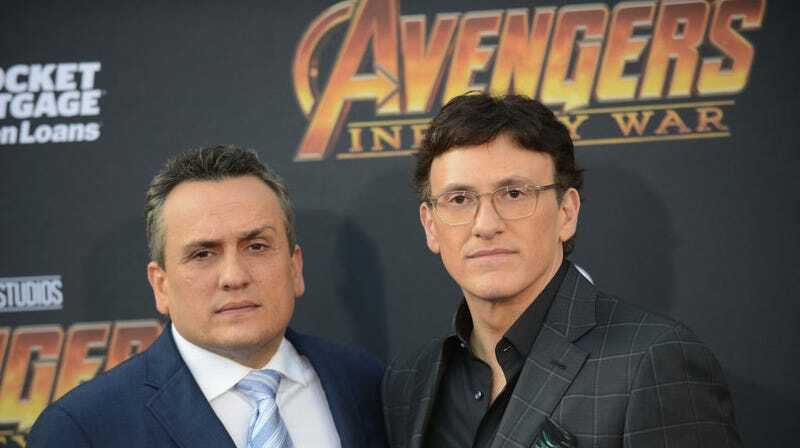 Perhaps, understanding that the only way to keep the superhero series fresh, the Russos are taking an entirely new approach with the next Avengers, trading special effects-laden action scenes for something a little different: a quiet, black-and-white character study of a director alone with his thoughts, a simple monologue based on his script notes bringing a new story to life amid an otherwise empty Hollywood set. Avengers: Ennui, perhaps, or Avengers: Existentialism. Actually, nevermind, it’s probably Avengers: Endgame.